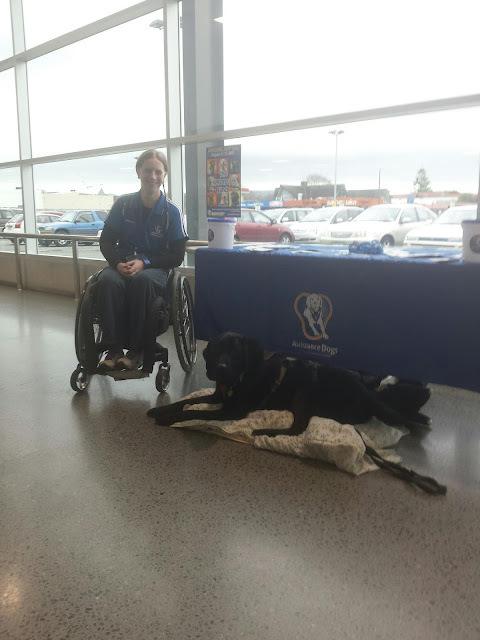 Yep, as usual I'm busy!On Saturday I spent the day raising money for Assistance Dogs New Zealand Trust outside Pak 'N' Save, Palmerston North. I had a great but tiring day talking to people about the role ADNZ Ben plays in my life and how some of the other amazing dogs are changing lives for New Zealand families. 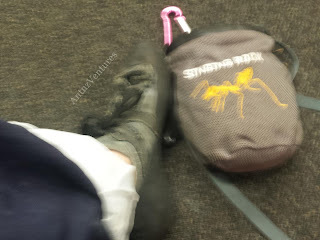 Once again I am humbled by the generosity of Palmy Nth.The last couple of days I've been getting ready to head to Auckland for the Climbing NZ Paraclimbing competition on Saturday and Sunday. As I packed the nerves started slightly, when I started climbing in 2003 climbing competitively was never even a thought, I just wanted to climb stuff, yet here I am. It's awesome to see another sport being more inclusive and it's awesome to be a part of.Taking tomorrow as a bit of a break near Lake Taupo before the hit the madness of Auckland on Friday. Will update as much as I can! 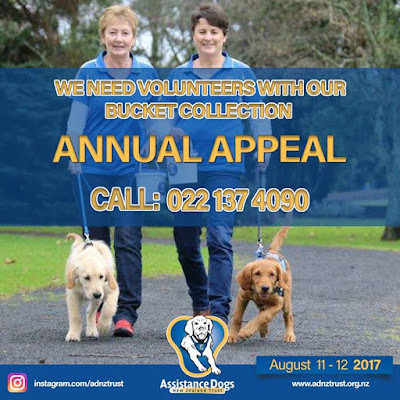 Its that time of year again, where those of us with Assistance Dogs NZ Trust Dogs get out and raise some funds to help other New Zealanders have better lives with the help of these amazing dogs. If you can spend a few hours tomorrow or Saturday please get in touch with Wendy at the above numbers, we'd love to hear from you. Some of the sites around the country may not run because we don't have enough people to help out. It takes a huge amount of time and money to get these dogs ready and out to families and we can't do it without your help! That being said if you are in Palmerston North and can spend a couple of hours down at Pak N Save with me, please get in touch! Come and see us on Saturday anyway!! If helping out isn't your cup of tea, please consider donating a few dollars on the ADNZ Givealittle page (just click this link), every little bit helps! The start of new developments! 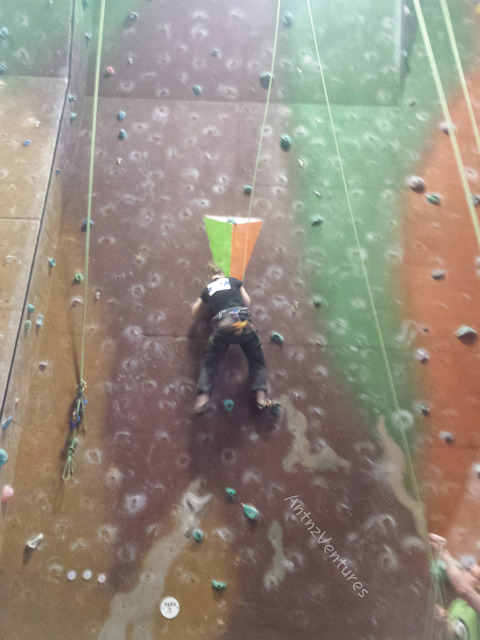 With the Paraclimbing event looming, I've managed to get into VertX a couple of times to try and get some (even if only a little) wall time in while also trying to do my maintenance exercises, keeping ADNZ Ben exercised, general living and getting involved in the Enabling Good Lives System Transformation.